Growth Management and Strategies (GMS) is an ambitious innovative new company that is attempting to turn the small business consulting business on its head. With an experienced consultant at the helm as President, GMS intends to grow at more than 50% per year through solid customer service, a great sales plan, proven competitive strategies, and a group of people that bring dynamic energy to the company and the sales process. The goal for this plan is financial: GMS needs a Small Business Adminstration (SBA) loan, and this document is one step in the process. 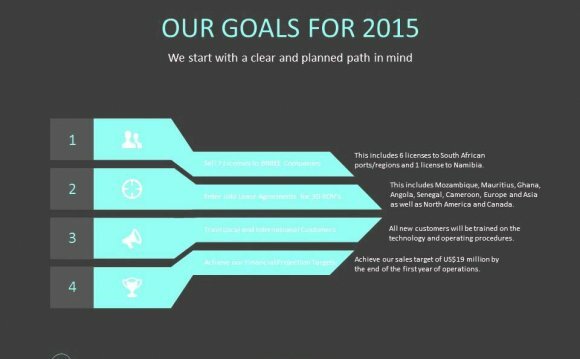 It is also a road map for the company. The document gives all present and future employees, as well as the owner a sense of purpose that may exist without the business plan, but becomes more relevant after the business plan is written, reviewed, shared, and edited by all. It is a living document that will last far beyond the SBA loan purpose, or if that doesn't occur, to bring an investor on board. GMS's financials are realistic, and based on very conservative sales figures relative to the industry as a whole. That is because one of the goals of GMS is to build the business one client at a time, and to serve each client as if it were the last. This is how loyalty is generated, and cultivated. Customer service is what GMS will do best, and is a large part of the company's overall mission. Gain access to an SBA loan upon start up. Grow the company from 2 employees in Year 1, to over 10 by Year 5. Increase revenue to over $3 million by Year 3. Increase client base by 450% in three years. Maintain job costing that keeps margins above 70%. The company mission is to serve small business clients that are in need of logistical, technical, and business strategy services. All projects will be chosen based on the availability of human resources, and each individual employee will be given the respect of a contract worker, and will share in profits for each job. Politics have no place at Growth Management and Strategies, and to limit the affects of favoritism, the company will implement and clearly communicate a performance review policy that applies to those at the bottom as well as the top of the leadership ladder. Credit will be given to the person who performed and/or innovatively modified a project, and compensation will be both financial and in the form of commendation. Growth Management and Strategies is a company that respects the needs and expectations of its employees and clients. If either is compromised, adjustments will be made so that the company culture may remain intact. To maintain client satisfaction of at least 90%. To ensure professional marketing and presentation of services. The Service Corps of Retired Executives, or SCORE, is a US national volunteer group that provides advice, support, consulting and training to small businesses. SCORE is a subsidiary/partner of the Small Business Administration.